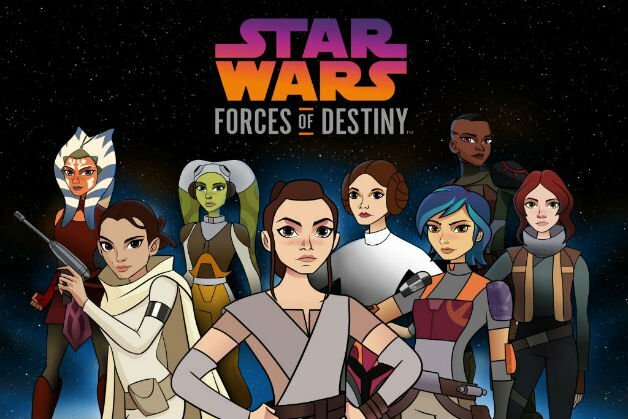 More episodes of “Star Wars: Forces of Destiny” are on the way, and they will be here as soon as next week! A new promo was shown for an upcoming half-hour special of “Star Wars: Forces of Destiny” airing next Sunday October 1st on the Disney Chanel, and it included our first look at some of the new shorts that will be coming in these new batch of episodes. You can check out the new promo in the video above, where there’s new footage shown of Sabine and Ketsu, Ahsoka training with Anakin and Yoda, as well as her flying with Padme in a Naboo Starfighter, and we also get our first look at Han Solo and Finn aboard the Falcon with Rey and Chewie!